Premium TUF Components Built to Last TUF Gaming motherboards are individually designed and tested to survive and succeed in conditions where other boards would struggle. Engineered with highly robust components, the TUF Z390-PLUS Gaming with Intel WIFI, delivers unwavering stability for gaming sessions that last as long as you demand. Featuring TUF Gaming Alliance — an ASUS collaboration with trusted industry partners that ensures easier building, the best compatibility, and complementary aesthetics from components to case. AURA Sync allows you to fully personalise your setup and synchronize your LEDs with RGB lighting effects. Reliable Collaborations TUF Gaming Alliance is a collaboration between ASUS and trusted PC-component brands to ensure compatibility with a wide range of parts, such as PC cases, power supplies, CPU coolers, memory kits and more. With more partnerships and components being added regularly, the TUF Gaming Alliance will continue to grow even stronger. Military-grade features TUF Z390-PLUS GAMIMG features TUF components such as certified military-grade TUF chokes, which deliver rock-steady power to the CPU, helping to improve system stability. TUF Capacitors feature +20% temperature tolerance and 5X-longer lifespan. With TUF MOSFETS experience the benefits of lower RDS(on) results in better power efficiency and reduced heat generation. Protect Your Motherboard TUF LANGuard is a military-grade innovation that integrates advanced signal-coupling technology and premium surface-mounted capacitors to improve throughput, protecting the motherboard from lightning strikes and static electricity. Built for Hard Duty The TUF Z390-PLUS GAMING VRM and inductor array is coupled to a large heatsink that has ample surface area to deal with the thermals of Intel's latest processors. Enhanced EATX 8-pin Socket Compared with traditional power inputs, ProCool sockets are built to tight specifications to ensure flush contact with the PSU power lines. This lowers impedance, which helps to prevent hotspots and connector failure. 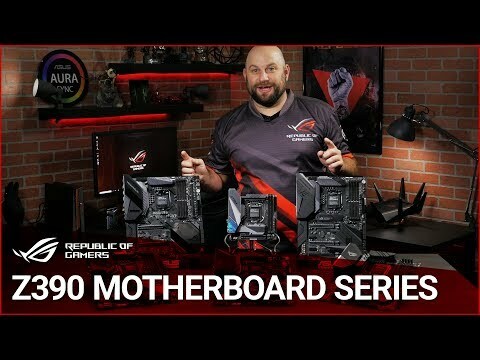 Easy PC DIY with ASUS TUF Gaming motherboards offer easy and safe DIY builds by leveraging great design, innovative engineering, and strong partnerships with major component manufacturers. The unrivalled combination of military-grade TUF Components, TUF Protection and the TUF Gaming Alliance means that you can rest assured that your gaming rig will go the distance. Superior Shearing Resistance SafeSlot is the PCIe slot reinvented by ASUS and engineered to provide superior retention and shearing resistance. Manufactured in a single step using a new insert-molding process, SafeSlot integrates fortifying metal for an inherently stronger slot, which is then firmly anchored to the PCB through additional solder points. Damage Prevention ESD Guards prolong the life of components while preventing damage from electrostatic discharge, providing protection for up to +/- 10kV of air discharge and +/- 6kV of contact discharge — greatly surpassing the respective industry standards of +/- 6kV and +/- 4kKV. DIGI+ VRMThe Digi+ VRM voltage-regulator module (VRM) is one of the finest in the industry, ensuring ultra-smooth and ultra-clean power delivery to the CPU at all times. DRAM Overvoltage ProtectionOn-board resettable fuses prevent overcurrent and short-circuit damage. This extends beyond I/O ports to DRAM to safeguard the lifespan of your system and connected devices. Stainless-Steel Back I/OTUF's corrosion-resistant stainless-steel back I/O panels bonded with chromium oxide have a lifespan that's 3X longer than traditional panels. TUF Gaming motherboard passed 72 hours salt fog test while other brands only passed 24 hours test. Easy Troubleshooting with MemOK! II To provide Intel's latest processors' unfettered access to memory bandwidth, we've reimagined motherboard trace routing from the ground up. Our OptiMem II tech carefully maps memory signal pathways across different PCB layers to reduce vias and also adds shielding zones that significantly reduce crosstalk. And to further enhance overclocking headroom for fully stacked memory configurations, we've employed a highly customized T-Topology layout that delivers time-aligned signaling. Easy Setup and Configuration TUF Gaming motherboards are designed to be easy to set up and configure just the way you want, even for first-time builders. With simplified CPU and memory overclocking to optimize and boost performance, intelligent cooling controls for better system stability, and helpful troubleshooting tools to get you up and running quickly if you encounter problems, TUF Gaming motherboards give you everything you need to build your dream gaming rig without adding complexity. Quick Installation. No Driver Disc Required. ASUS Q-Installer software provides automatic download and installation of drivers and utilities for your TUF Gaming motherboard. Choose just the options you want from a user-friendly interface and Q-Installer will do the rest. Keep Your System Stable System temperatures are key to a stable gaming rig ― especially GPU temperatures. TUF Gaming motherboards include Fan Xpert 4 software that's able to intelligently control system fans based upon the input of multiple sensors, including the temperature of ASUS graphics cards*. This ensures that your TUF Gaming system stays perfectly cooled, no matter how long you play. * ASUS GeForce 700 and later cards supported. Multiple Temperature Sources With Fan Xpert 4 you're able to control system fans based on inputs from up to three temperature sources. For example, Fan Xpert 4 can be set to spin up the chassis fans in response to the GPU temperature. So, when the gaming action heats up, additional cooling kicks in — just when you most need it. Choose your temperature sources and thresholds, from motherboard and CPU to GPU, and leave Fan Xpert 4 to do the rest. Dedicated PWM/DC Header Enables full control of PWM or DC water pumps, perfect for both custom and self-contained cooling setups. 4-Pin PWM/DC fan Every on-board header supports auto-detection of PWM or DC fans. Faster Wireless Speeds with Intel WI-FI TUF Z390-PLUS GAMING (WI-FI) features the latest Intel 802.11ac Wi-Fi with 2x2 MU-MIMO and wide 160MHz channels, for wireless speeds of up to 1.73Gbps. * In fact, its integrated Wireless-AC 9560 Wi-Fi adapter pushes wireless data up to 2X faster than other Wi-Fi solutions — so you'll get fast, smooth transfers, even when your rig is further away from the router. Intel Wireless-AC 9650 also offers Bluetooth 5 for connections that are up to 2X faster than ever before, and with up to 4X the range. Optane Memory Ready Intel® Optane™ is a revolutionary non-volatile memory technology supported by TUF Gaming motherboards. Intel Optane memory modules accelerate attached storage to reduce boot and load times, so everything feels faster and more responsive. MORE THROUGHPUT, LESS CPU USAGE TUF Z390-PLUS GAMING (WI-FI) features the very latest Intel Ethernet. Intel's LAN has the advantage of reducing CPU overhead and offering exceptionally high TCP and UDP throughput for faster, smoother data transfer. NETWORK-OPTIMIZATION SOFTWARE Turbo LAN with cFosSpeed traffic-shaping technology adds even more lag-reducing support and an intuitive user interface, so you'll reduce lag by up to 1.45X — with no expert knowledge. It even includes Game mode to prioritise game-related data transmissions,smoothing network operations every time you play. outshine the competition A well-tuned system deserves a matching aesthetic. ASUS Aura offers full RGB lighting control with a variety of functional presets for the built-in RGB LEDs as well as strips connected to the onboard RGB headers. And it can all be synced with an ever-growing portfolio of Aura-capable hardware. 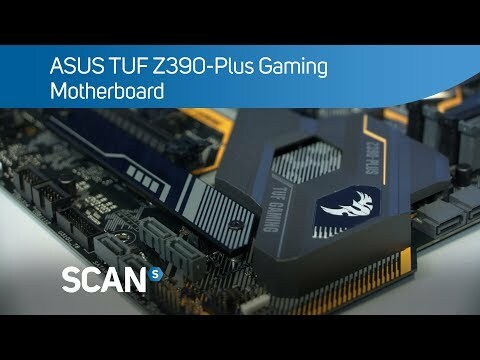 Incredible sound with RealTec ASUS TUF GAMING Z390 motherboards utilize a unique audio codec designed in close collaboration with Realtek — the Realtek S1200A. It also features an unprecedented 108dB signal-to-noise ratio for the stereo line-out and a 103dB SNR for the line-in, providing pristine audio quality. Game Your Way with DTS Custom Refine your battle skills with exclusive audio technology developed by ASUS and DTS to provide multi-channel surround virtualization for stereo headphones. DTS Custom takes on-board audio to a new limit, including three incredible presets. Tactical mode accentuates detail for stealthy FPS play. With Aerial mode, you can experience audio from ahead seamless for MOBA, RTS, Grand Strategy and Sport gaming titles. Put your ears at the centre of the action with Soundscape mode, which is best for MMO, RPG, Action/Adventure and Horror gaming genres.